We are sad to report that Bill passed away peacefully at Grey Bruce Regional Health Centre, Owen Sound with his beloved partner, Gladys Pennacchietti at his side, on January 24, 2019, at the age of 86 years. Predeceased by his wife Sylvia (Rodgers) (2005), as well as both his sons, Kenneth Rodger (2018) and Rodger Stewart (2010) MacKay, his brother George MacKay (2007), his great niece Tammy Jane MacKay Chen (2017) and his parents Gladys (Horton) (1971) and John MacKay (1960). Left to mourn: his grandson Matt MacKay, his brother John and sister Ivadel, as well as his two sisters in law Janice (Larry 2014) Shuker and Doris MacKay. Uncle Bill is fondly remembered by his nieces and nephews. Lovingly remembered by Gladys’ extended family. 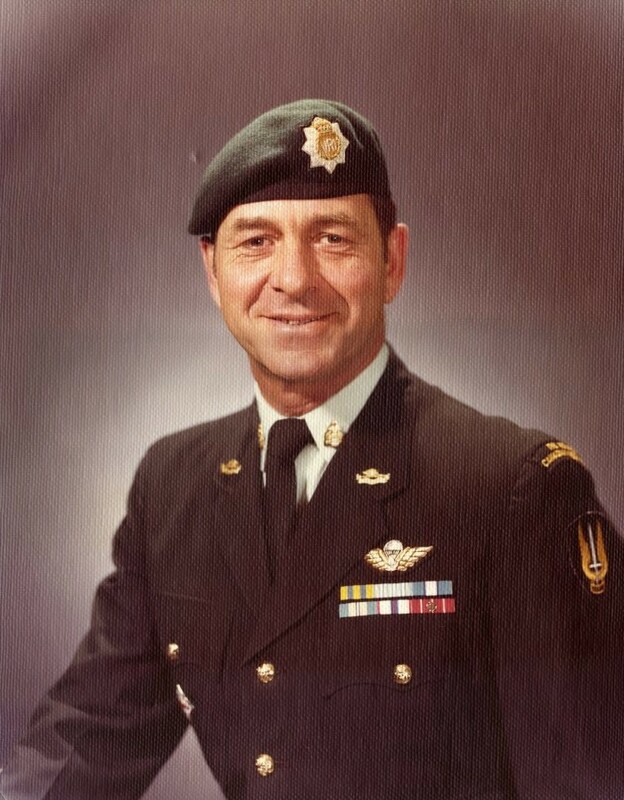 Bill was a career soldier having served with the First Battalion RCR doing tours in Korea, Germany, Cyprus (two), Libya, and Egypt, as well as the Battle School in Petawawa. He finished his career with the Ceremonial Guard, Parliament Hill, Ottawa. Friends will be received on Friday, February 1st, 2019 from 11:00am until the time of the funeral service at 1:00pm at Forest Lawn Memorial Chapel, 1997 Dundas Street, London, Ontario. Interment to follow the service. In lieu of flowers please consider donations to Community Living London or a charity of your choice.